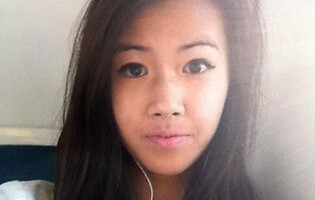 Fifteen-year-old Catholic Regional College St Albans student Teresa Ho was killed on Monday at Ginifer station in Melbourne’s north-west when she strayed into the path of a full-tilt V-Line train. Now, I know the Ginifer railway station very well having worked for two years at Holy Eucharist parish which is located just a few hundred metres away. Passing several times daily through the same flimsy pedestrian boom gate where Teresa died, I witnessed many instances in which people would race across in a bid to catch the train that had just gone through. I still shudder to recall one young Sudanese boy who leaped across totally oblivious to the possibility of another train coming from the opposite direction. Unlike Teresa, the boy fortunately stayed safe on that occasion. But I was so upset that I started asking among local community leaders to see what could be done about the crossing which has been rated as the fifth most dangerous in Melbourne. The inevitable response was a resigned kind of look that simply said yes, we have been complaining about it for years. So I decided to write a letter. But to whom? The local MP? Connex (the previous operator)? Metlink Melbourne? And so it didn’t take long for inertia to set in and I never did do it before I finished work in the parish in 2008. I don’t delude myself that it would have made any difference. After all, many locals have indeed been trying for decades to get action on both the Ginifer and St Albans crossings. Thirty years ago, Tom Rigg, a now retired former station master, even came up with a plan to finance construction by developing the St Albans station into a commercial centre. To no avail. Even though Ginifer station was somewhat ironically named after a well-regarded state Labor MP Jack Ginifer, many locals claim that the former Labor state government ignored their demands because it was one of the party’s safest seats. Nor has the current Liberal government shown the least interest in the problem, evidently preferring to favour its own seats. What to do in the face of such naked political indifference? I thought hard about that as I looked at a photo of Teresa’s mum Tien Nguyen and her distressed school mates praying at the site of the terrible accident. And it reminded of another incident in the late 1960s when a young YCW leader was killed in a car accident in Melbourne’s suburbs, possibly at another level crossing. I never knew the name of the guy but I do know the impact that his death had on his fellow YCW leaders who brought up the issue in one of their local meetings and decided that they had to act. It was the start of a YCW Road Safety Campaign in the early 1970s that contributed significantly to the introduction of compulsory seat belts and the 0.05 alcohol limit in Victoria. True, the Melbourne YCW, which during the 1960s was the largest YCW movement that ever existed in any city in the world, was able to make it happen because it was organised and structured to do so. Sadly, the sociological foundations of that YCW evaporated soon after sending the movement into a decline that lasted many years. Happily, the movement did not disappear and indeed the Melbourne YCW has just celebrated its 70th anniversary with a promising resurgence. Moreover, the method that made it successful – Cardijn’s famous See Judge Act method – has now passed into official Catholic social teaching. This year in fact also marks the 50th anniversary of Pope John XXIII’s encyclical Mater et Magistra, which formally recognised the method (Para 236). What’s more the baby boomers who made the Melbourne YCW successful in the 1960s are mostly still around, albeit somewhat greyer. A few even still go to Mass on Sundays! So what’s to stop some of those well trained boomers from getting together with a few of their peers to begin to address the issues that afflict local communities today? Actually, some have already started to do so, e.g. a Cardijn Community team led by Kevin Vaughan is now tackling the issue of single fathers. Moreover, what’s to stop many other parishes and schools from taking the initiative to bring together new groups of young people to act on the issues that concern them? The required tools are easily accessible. Each Friday, CathNews Perspectives publishes the Sunday Gospel that could be the basis of a weekly Gospel enquiry. Many easy guides to the See Judge Act are available on the web. Seeing the flowers that mark the spot where Teresa Ho died, I was also reminded that Pope Pius XI once named St Theresa of Lisieux as the patron of the YCW. Let every parish plant the seeds for many more flowers to grow. Yes, we can. We owe it to Teresa and her family.